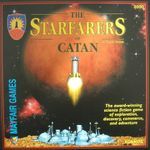 We have been hosing a monthly game night after work, but that has room for only smaller games. Hoping to play the occasional big game, I started a game day event.It can be tough to set aside a whole day for hanging out with work friends, but I'm hoping we can do an annual event. The first ICS Game Day was a lot of fun. In attendance, we had Darik, Corey, Larry, Randy, and myself. We had far more food than necessary - so that's always good, and we never took a break to take a dip in the pool. Straight-up nerdy greatness with Pizza, Beer, Chips and Dip. Cassie and Ayla joined Sarah, Henry, and Katie in the pool as we played games, and they made Pizza for us later in the day. The second ICS Game Day was held at Fantasy Flight Games Event Center. It was going to be tough for me to host this time, and since FFG has a kitchen, good beer taps, plenty of tables, and a game library - it was natural fit. We broke out Cash n Guns for 4 players as Larry had arrived, but Randy was still playing softball. 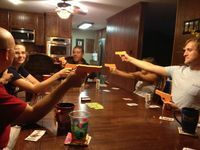 A second round of Cash n Guns, my opponents wised up. We killed Larry again - and Corey took the most cash. We played 3 games of the iPhone game Spaceteam. Randy arrived while we were playing this one. It had to be a strange time to enter. It was chaos. It was a blast. It was a 5 star app. 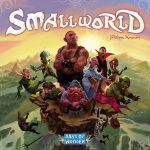 For another big geeky game of the day, we played Small World. Darik brought a copy along, and he was the only one to have played it. In the end, gamer newb Larry was victorious by only a few points over Randy and Corey. Left far in the dust were Darik and myself. The game was a lot of fun, and I think it is safe to say that everyone caught onto the strategy of it. We finished off the night with a merciless game of Lifeboats. Larry pulled in another victory here, as we punished Darik for taking an early lead. It didn't look like attendance was going to be high, so Darik and I met at 11 AM and set up War of the Ring. Right when we started the first turn, Corey showed up, and Neil shortly after. Even though we had War of the Ring all set up, there was plenty of room. 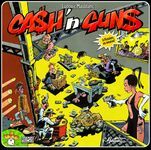 Both Corey and Neil had only planned to stop by for a little while, so I coaxed them into a quick game of Cash'n'Guns. It was an ugly fight, but with very little shame. Neil, Darik, and I each backed out once. Corey never backed down - and in the last turn, with an clear lead and 3 guns pointing at him - no wounds, he just took it. Neil and Corey only planned to hang for a short time after, and the setup for War of the Ring is pretty impressive, so they decided to watch Darik and I play our game for awhile. My copy includes Resin casts of Mt Doom, Barad-Dur, Orthanc, Helm's Deep, Minas Tirith, and Rivendell. I also have the Lords of Middle Earth expansion, which we had in use. Darik had never played before, and I have played many times. Since the Fellowship is a bit more scripted, he took the Shadow. The early game is more about managing the political track and determining the initial characters. Since my early card draw and dice rolls were almost exclusively character oriented, I was forced into breaking the fellowship very early - which isn't so bad. I activated and mustered the Elves, Rohan, and Dwarves early and brought them to war, so Darik had little incentive to hold off on his attack. He played an aggressive game from the start, using very little mustering - and launching multiple attacks, mostly with his starting units. After the first few battles, Corey and Neil left, leaving Darik and I to battle it out. The mid-game went forward in my favor. I had abandoned Helm's Deep in the early game, taking Strider and his armies through the Path of Woses to Minas Tirith. During the mid-game, I managed to return with a modest army to destroy Orthanc, Kill Saruman, and then march on Helm's Deep, which remained locked in siege for the remainder of the game. As we pushed into the final turns, Darik had taken 1 city and 3 strongholds for 7 points. The fellowship entered Mordor with only 2 corruption points. Darik wisely sent a majority of the army from Dol Guldur that had taken Lorien to Edoras, securing his 8th point. With a massive army threatening Dol Amroth and the fellowship now at 7 corruption, I had a choice. It appeared we were down to the last few turns. Make a run for mountain and sink the ring, or abandon the quest for the ring, re-take Helm's Deep with my army already in siege, and shoot for a military victory. The ring strategy seemed most viable, so I went for it. I managed to hold out at Dol Amroth with 3 units holding off the siege when Sam, Frodo, and Gollum attempted to take the last space on Mt Doom. We had 11 corruption points. There were 10 tiles left in the hunt, and only one of them would give us the victory. In the end, Frodo succumbs to the corrupting influence of the ring, and Sauron covers Middle Earth in darkness.